A screenshot from Victoria Dockside's video. Source: Youtube. Iconic Tsim Sha Tsui attraction The Avenue of Stars has been given a lavish upgrade and will reopen this month. Shut down in October 2015, the iconic attraction, which see more than half a million visitors each month will finally reopen to visits in February, according to their website. The renovation is part of the US$2.6 billion (HKD $20 billion) Victoria Dockside development and has been underway for more than three years. The entire complex however, which includes a new luxury hotel, residences, art and design spaces, and the already open K11 Atelier office, isn’t expected to fully open until later this year. 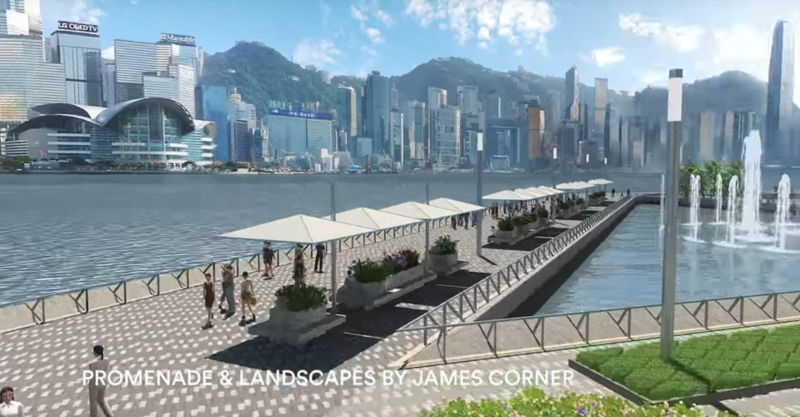 Hongkongers were given a sneak preview of the famous promenade in pictures released more than a week ago by New World Development’s Executive Chairman Adrian Cheng. First built in 1982 and formerly known as the Tsim Sha Tsui Waterfront, The Avenue of Stars has been a icon of Hong Kong for 15 years, since opening in 2004. Reopening in 2019, the world famous harbour walk is now a part of a new design and art district, Victoria Dockside. Upgrades to the area include QR Codes added to the more than 100 plaques celebrating famous Hong Kong actors, with more to be added soon. The makeover also includes more picture-friendly architecture as well a layout which will ease foot traffic. Household stars with plaques in the Avenue of Stars include Stephen Chow, Chow Yun Fat, Wong Kar Wai, Florence Lim, Jackie Chan and, of course, Lai Man Wai, the father of Hong Kong cinema. Fun fact: Lai Man Wai not only directed Hong Kong’s first film, “Zhuangzhi Tests His Wife” in 1913 — he also played the role of the wife. While checking out the new upgrades, it’s probably time you watched the upgraded symphony of light show you’ve been putting off for over a year now.